The SCARC Guardianship Services, Inc. Board of Trustees is dedicated to carrying out the mission of the organization. The board meets monthly to set policy and to stay informed about the people served by the organization. The board delegates management responsibilities to Megan MacMullin, Esq., Chief Executive Officer. The SCARC Guardianship Services, Inc. Board of Trustees is dedicated to the empowerment and support of persons with developmental disabilities and their families. They facilitate partnerships with community resources, assist in maximum community participation, promote individual planning based on choices, preferences, and needs, and foster the development of socially valued roles for each person served. The SCARC Guardianship Services Board of Trustees operates under the applicable laws of New Jersey in order to assure that the operation of SCARC Guardianship Services, Inc. is done so with integrity and high ethical standards, and for the purpose of supporting persons with developmental disabilities and their families. Our Board of Trustees is comprised of a diverse group of individuals who bring different viewpoints to the organization while working toward a common goal. The board includes community leaders and professionals, many of whom have children with disabilities and offer insight as parents of children with disabilities. The board is well informed about the people whom the organization serves and is genuinely interested in their welfare and happiness. Joining the Board in 2007, Paul Owens, a cardiologist, became a part of SCARC Guardianship Services, Inc. because of his outstanding personal experience with the pro se guardianship program. He and his wife Mary have four children, one of whom was diagnosed with a developmental delay and ADHD. Once he and his wife had gone through the pro se program, he wanted to be a part of the professional and caring organization that simplified complex rules and regulations for those who wish to become guardians of their loved ones with developmental disabilities. Russell joined SCARC Guardianship Services, Inc. in 2009. Russell is an Edward Jones Financial Advisor and joined the board after participating in the many events held to raise funds for all of the SCARC organizations. He realized its importance and wanted to work with a group of individuals who are passionate about improving the lives of others. Russell enjoys seeing the smiling faces of the people he serves and helping to enrich the lives of people with developmental disabilities. In 2011, Kerry Guthrie felt compelled to join the SCARC Guardianship Services Board of Trustees after witnessing the dedication and passion of the Board that work to preserve the rights of people with disabilities. Kerry was impressed with the professionalism of the organization and the hundreds of families they have helped to overcome challenges and preserve the rights of people with disabilities. Kerry is retired from the Selective Insurance Group, Inc. where he served as the Chief Investment Officer. Kerry resides in Sparta, New Jersey with his wife Patty. They are the proud parents of two daughters, Kaley and Erin. A business owner in the community, Kathie has been on the board since 1997. She joined the board because she felt it was rewarding to make a difference in the lives of the people for whom the organization is guardian. She also wanted to learn everything she could about guardianship. Kathie’s sister Lynn has Down Syndrome. Kathie became Lynn’s guardian many years ago. Serving on the board holds a special place in Kathie’s heart as she serves as a knowledgeable and caring guardian and board member. Harold MacMurren, a psychologist and an attorney, joined the SCARC Guardianship Services, Inc. board in 2009. He has spent 35 years working with students with disabilities and wanted to be a part of an organization that helps those students once they have become adults. Harold’s passion for working with people with developmental disabilities stemmed from his experiences with an aunt who had cognitive impairments. He resides in Sussex, NJ with his wife Margaret. Dr. Kenneth Roffe has lived and worked in Sussex County as a local family physician for twenty years. During these years, he has cared for clients of SCARC Guardianship Services, Inc. and their families, as well as employees of the SCARC family of services and has learned the value that SCARC programs have to offer to the community. Joining the board in 2012, he hopes to offer his assistance to maintaining the high quality services the agency performs. Frank McGovern joined the SCARC Guardianship Board of Trustees in 2015. He is a practicing attorney at McGovern & Roseman, PA in Newton, NJ. Frank resides in Newton with his wife Kate and their daughter, Nancy who has Cerebral Palsy. Glenn joined SCARC Guardianship Services, Inc. in 2011. Glenn is the retired Superintendent in the Hardyston School District. 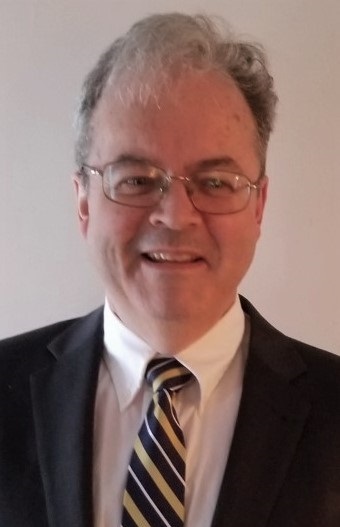 He has been an educator for 45 years serving as a teacher, principal superintendent, college level instructor and consultant to numerous Boards of Education in New Jersey and New York as well as several educational publishing companies. Working with children has always been exciting and striving to provide the resources needed to offer them a strong educational program has always been a challenge. Glenn, a resident of Sussex County for 41 years, is the father of three adult children and eight delightful grandchildren. Past president of the board, Larry became a member after being impressed by the professionalism and compassion of the SCARC Guardianship Services, Inc. organization and its employees. Joining the board in 2002, Larry wanted to be a part of a team that is responsive to the needs of families and the people it serves. Larry and his wife, Terie, have three children: Jenna, Krista, and Aaron. Aaron was diagnosed with autism and is an active member of the SCARC family of services. Larry is the owner of Bono Signs & Designs, LLC. A vendor and sales representative for Performance Sales, Marilyn came to the SCARC Guardianship Services, Inc. Board of Trustees in 1993. Marilyn and her husband Rich, have three children, Richie, Mary, and Carrie. Richie and Mary both have developmental disabilities. Marilyn finds it heartwarming to be a part of the SCARC Guardianship Services, Inc. family that does so much, for so many – including reuniting families. Nancy Heslin Reading joined the SCARC Guardianship Board of Trustees in 2014. She is the owner of Reading Law Firm and provides legal expertise in guardianship, wills and probate, estate administration to name a few. She is a distinguished member of various Sussex County boards and past president of the Sussex County Bar Association. She resides in Sparta with her husband Edward. Pat Dykstra joined the SCARC Guardianship Services, Inc. board in 1997 because she heard about the great work being done by the organization. Pat enjoys being a part of an organization that does an exceptional job helping people with developmental disabilities live a safe and improved life. Pat had a brother with Down Syndrome for whom she was guardian. Currently the Technical Director for Barnet Products Corporation, a sales and marketing company of cosmetic ingredients, Peter has been a board member since 1995 and a resident of Sussex County for the last 30 years. Peter and his wife Trudie are the proud parents of three children: Samarra, Austin, and Max. Their son Austin, who is in his late twenties, has developmental disabilities and was diagnosed with Prader-Willi Syndrome and autism.